Pumpkin cheese cake served on a pastry base and coated with gelatin brisée broccoli. Roll out the dough and brush brisée with beaten egg, sprinkle with parmesan and cook in oven at 200 ° C - 400 F, for about 15 minutes, the oven and, while the pastry is still warm, cut with a cutter discs of 4-6 cm in diameter. Meanwhile, prepare the mousse: whisk the pumpkin is still warm with 2 sheets of gelatin soaked and squeezed, 100 g and 100 g of mascarpone cheese, salt and pepper. Prepare the cheese mousse: Mix the rest of the ricotta and mascarpone cheese, chopped dill and hot milk, in which you have melted 2 sheets of gelatin, and a pinch of salt. Prepare gelatin with broccoli: Dissolve in 2 liters of water soaked and squeezed the jelly, add broccoli and stir a few tops. Place a disc on the bottom of a cutter brisée, pour the pumpkin mousse, then the cheese and then cover each cheesecake with a spoonful of jelly with broccoli. Repeat until you run out the ingredients. Place the cheesecake to cool in the refrigerator for at least 2 hours, until they are compact, then sformateli. Brisée pastry pie stuffed with ham and paprika Reblochon cheese, flavored with chives, a real treat for the palate. Roll out the disc of dough on cutting board brisée, leaving him in his special baking paper. Sprinkle with half teaspoon of paprika passed through a colander, sprinkle over 2 tablespoons chopped chives out and share over a rolling pin, gently press it to the dough to incorporate both the paprika chives. Then with the dough-lined bottom and sides of a mold hinged, recline on a sheet of baking paper, cover with dried beans and bake in a preheated oven at 200 degrees - 400 F, for 15 minutes, the oven and remove paper and beans. Meanwhile, cut the cheese into thin slices. Spread the dough on the bottom slices of ham, slices of cheese over the recline and sprinkle with chopped chives. In a bowl beat the eggs with the cream, milk, salt and pepper. Pour the mixture over the cake and bake in a preheated oven at 200 degrees - 400° F, for about 40 minutes. Remove from the oven, let stand for 5 minutes and serve. Cut the asparagus into the final part of the washers and leave the tips whole. In a bowl beat the eggs with the cream, add half the cheese sauce, salt, pepper, saffron and mix well. 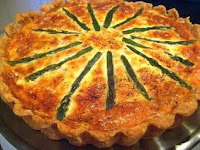 With the dough, leaving a cake tin lined brisè its non-stick paper.Arrange the bacon on the bottom, then pour the egg mixture and cheese and arrange the asparagus with the tips directed radially towards the center of the quiche, leave aside the slices of asparagus. Bake at 200 degrees C - 400° F, for half an hour.Meanwhile, transferred into the mixer of apsaragi washers and 4 cheese sauce and mix well to obtain a cream. 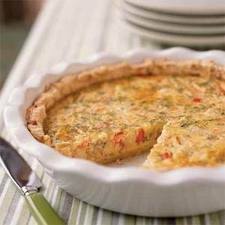 Heat the cream before serving the quiche into wedges with the accompanying sauce with asparagus. Small quiches with asparagus and spinach, eggs and bacon in the oven. Peel, wash the zucchini and cut into cubes Heat a little oil and let skip the zucchini with the chopped vegetables and peas for about 10 minutes, then scented with marjoram leaves, remove from heat and let cool. Combined with the warm growing vegetables now. Roll out the dough and cut it into 4 rectangles brisée of 10x4 cm, have the center of each a spoonful of mixture to the vegetables and close to candy.Brush the dough with a little water, sprinkle with poppy seeds, and bake in a preheated oven at 190 ° C - 380 F, for about 15 minutes. This recipe is part of French cuisine, but it's a dish that is known for his goodness in the world. First prepare the dough and put it to compact brisée in the refrigerator for 40 minutes. Once ready, flour a work surface and roll out the dough very quickly, calculating that the circle of dough should cover the bottom of your pan, joining the edges and slightly oozing of about 2 cm. Butter, therefore, a non-stick pan or ceramic, and recline the circle of dough that you have previously laid out for it adhere well to the bottom and edges. At this point, trim the edges by cutting with a knife and finally with a fork, brisée Prick the pastry on the bottom of the pan. 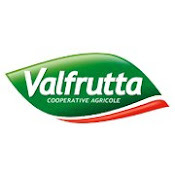 To cook the pasta in white cover with a sheet of baking paper to fill with dried leguminous vegetables (beans, chickpeas, lentils, etc ...) Put the pan in a preheated oven at 190 degrees for 15 minutes. 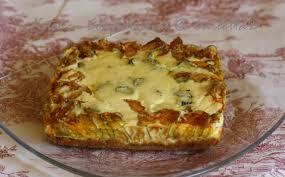 I once spent 15 minutes, the quiche baked, remove the beans and greaseproof paper and brush the bottom with albumen. 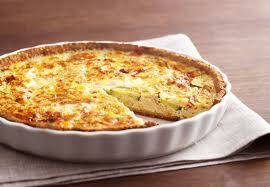 Then refit the quiche in the oven for another 5-10 minutes at 170 degrees so as to brown the bottom for good. Meanwhile cut the bacon into small cubes and let it burn for 10 minutes in boiling water, then drain and keep it from parte.Una extracted once the base of the quiche from the oven, place on the bottom of the grated cheese and diced bacon. Take the eggs in a bowl and whip together the cream, then add a pinch of nutmeg, a pinch of pepper, salt, and mix together until you get a cream that will pour into the pan to completely cover the other ingredients . 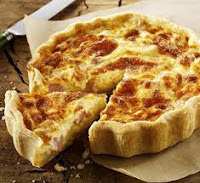 Bake the quiche lorraine at 170 degrees for about 15-20 minutes., Until it is golden in 'surface.Before serving the quiche lorraine let rest in pan for 10 minutes, thus preserving unity, it will be easier to cut it into slices. 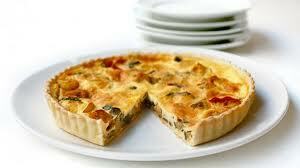 An irresistible quiches, but above all easy to prepare. Peel and cut the fennel slices and cook in microwave for 10 'to pot. max (or steam in a pressure cooker for 8 '). Beat together 3 eggs with the cream, milk, salt and pepper. 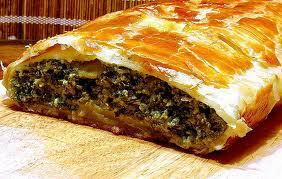 Grease a pie dish with a diameter of 24 cm. Wrap it with pasta. Arrange on the bottom, radial, fennel and shrimp. Cover with the mixture of eggs, milk, and cream. Bake at 190 C - 380 F 'to 35'. Paste stuffed with Ricotta cheese, brisée with dandelion, marjoram, fennel and otherherbs cooked in the oven. Wash under running water and dried in a paper towel dandelion and fennel.Recombine them in bunches, slice them and let them skip a couple of minutes over medium heat in a pan in which you have done warm 3 tablespoons of oil. Add thepepper and salt, cover, let simmer on low heat for 5 minutes, then let cool. Cutcheese into cubes and place in a bowl large enough. Wash the mint leaves, basiland marjoram, dry them in paper towels, and add to the scatter Quartirolo. Finally, add the herbs cooked well and mix it all together. Turn the oven to 200 degrees C - 400 F. Roll out the dough brisée, roll the puff pastry, olive oil and a spennellatenesovrapponetevi a second. Double sheet distributed on a cord made ​​of cheese, thenrolled up and brush with oil. Transfer the strudel with its baking paper on baking tray and bake for 20 minutes, let it cool slightly and cut into thick slices, removing the ends. Serve at once. 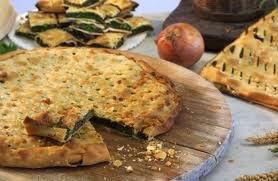 Brisée pie dough stuffed with herbs, diced bacon, eggs and Parmesan cheese. Soak the herbs still frozen in a little boiling salted water and cook as directed on package. Meanwhile, sliced ​​onions and chopped garlic: fry in oil with 4 tablespoons of the bacon until golden this will be apparent. Drain the herbs, squeeze, chop finelyand add to the fried onion and bacon. Cook for 5 minutes, until the herbs arecompletely dry, season with salt, pepper and flavored with a sprinkling of nutmeg.Let the mixture cool and Incorporat eggs, beaten first with the Parmesan. Roll out the dough while still in its special brisée baking paper in a round pan, covering bottom and sides, pour the prepared stuffing and cover with the second disk of dough,folding the edges inward excess in order to get around an edge often well sealed.Brush the surface of oil and prick with a fork and bake in a preheated oven at 190degrees C - 380 F for about 25 minutes. Remove the cake from the oven, brush them again with an emulsion of oil and water and simmer for 20 minutes. Serve warm "erbazzone".